Your knowledge and skills might not be useful unless you are able to communicate effectively. Reporting is a crucial part of almost every kind of job, especially for business enterprises where reporting documents are documented and preserved as per law. Effective reporting improves performance, optimizes processes, controls unnecessary expenditure and renders clarity. Therefore, it is imperative to create daily report templates which are simple, useful, informative and offer easy entering and viewing of important information. This Production template is a neatly arranged layout with subheadings and structured detail headings in a blue column. 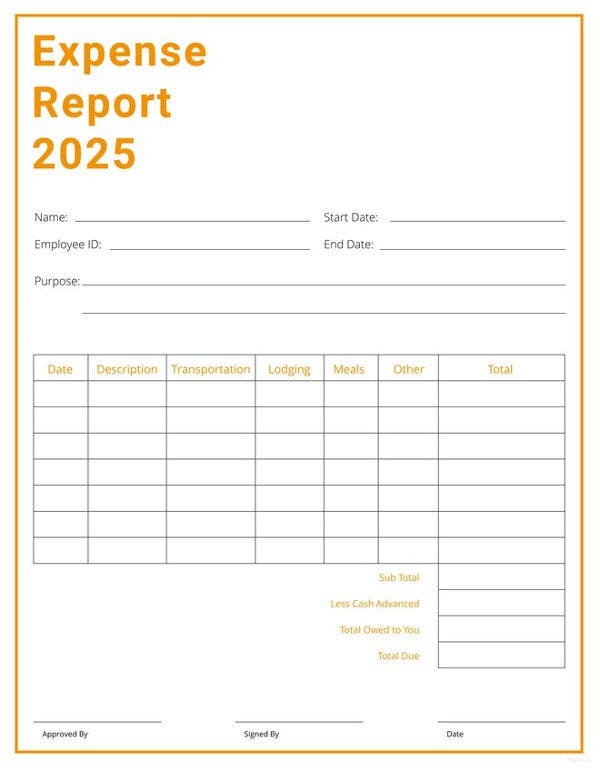 Instead of using a free format, you can download the below expense report template to render an overview into the nature of the expenses you have incurred to the stakeholders of your organization. 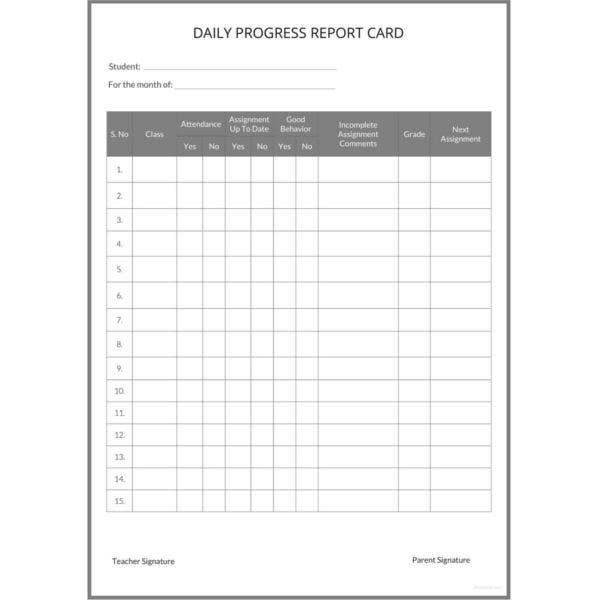 Here is an interesting and editable template of a student’s annual report card which not only tracks his quarterly progress but also highlights his strength and weaknesses as against his subjects of study. This report captures the overall performance of the students in a class as per the total marks and corresponding percentage they have secured. The simple layout with green subheadings makes it easy for the teachers or professors to enter the information. With a neat tabular daily expense reporting form such as this, you no longer need to create a specific template every time you intend to file your expense report in your enterprise. Simple customize this document to make it yours. 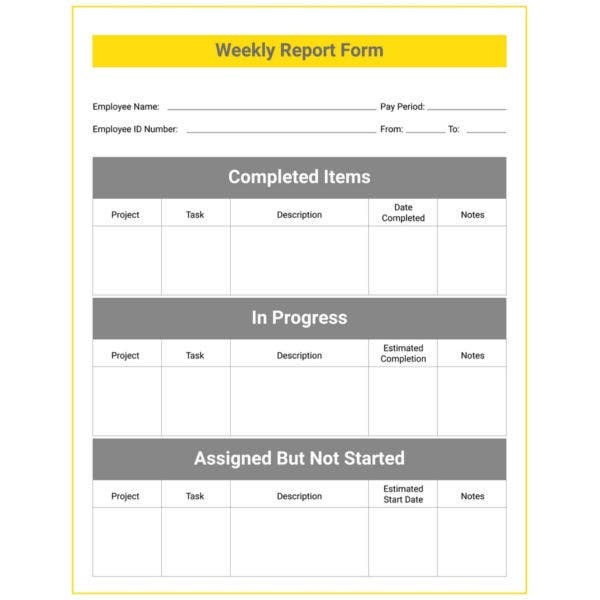 The Weekly Report Template can be documented after every team meeting and sent to the supervisors and other stakeholders for reference. This sheet captures the list of activities completed, the ones to be started, details of any long term projects, or any immediate issues which need to be addressed. > How to use the Report Templates? 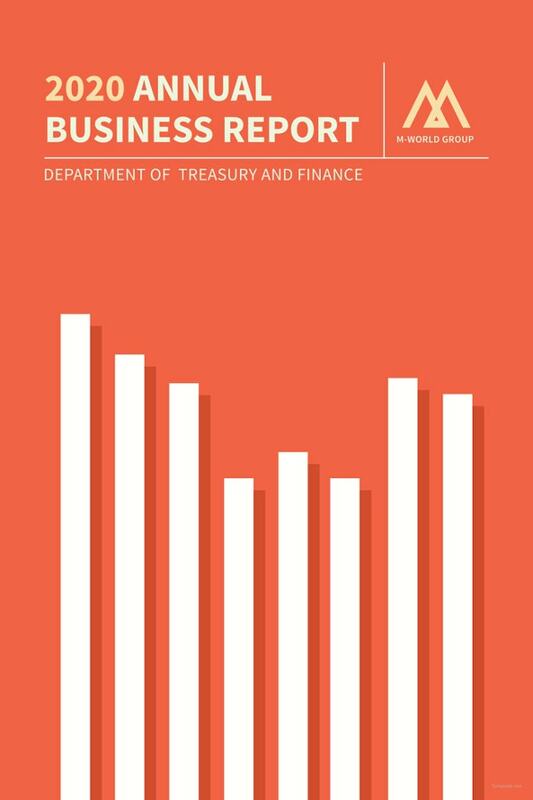 The Report templates are a useful set of print friendly editable documents which can cater to your numerous reporting needs at your workplace. These professionally designed documents with relevant subject lines and columns are so easy to customize that you will not feel the desire to create a whole new reporting document on your own. 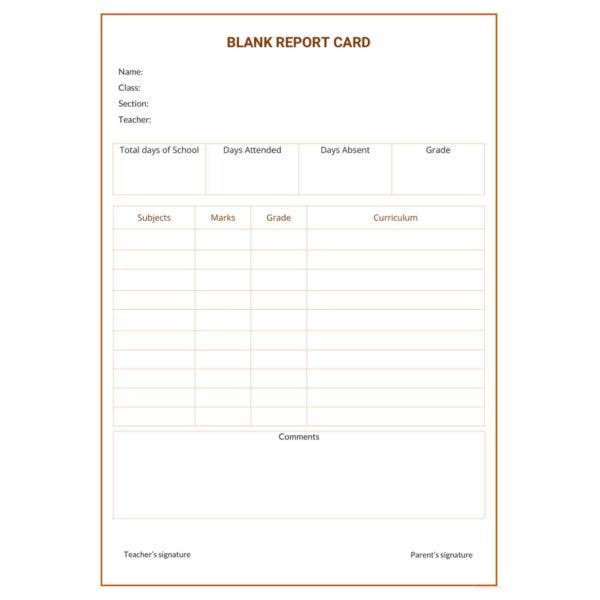 The templates are relevant pieces of files which include standard sections of business and academic reporting templates. A robust space for entering the relevant details ensures that the creator and the reader find it convenient to navigate through the reports. > What are the Benefits of the Report Templates? The smart report templates have been created keeping your myriad business reporting requirements in mind. You no longer require furnishing free formatted reporting which might seem unprofessional and misleading to the viewers. The crisp looking smart report templates can be saved in both soft and hard copy formats. Also, you don’t have to worry about forgetting information as one look at the structured report can help recollect the data. 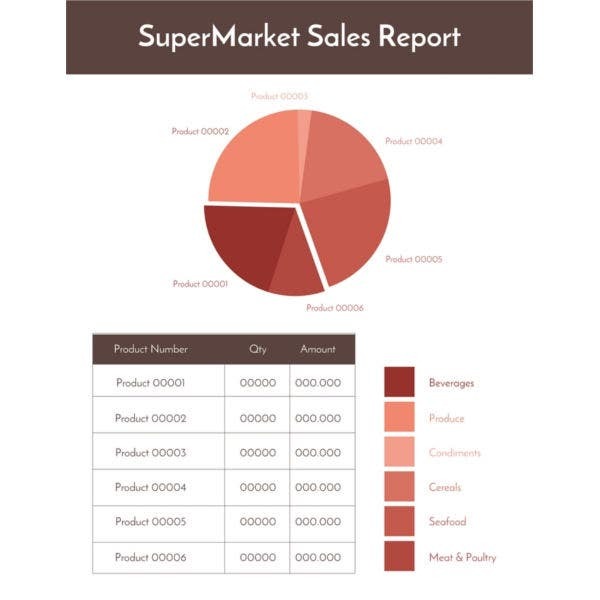 Besides, these report templates help you to map the next move of your company by offering the strategies emulated right after looking at the figures and statistics in your report.